Wolran Kim, winner of the 2012 Chapbook contest. Last year Wolran Kim entered Salt Lake Community College’s 2012 Chapbook Contest at the request of an instructor but was certain she didn’t have a chance to win. Not because she didn’t write good poetry, she knew she did. The problem was she didn’t think her English was good enough to win. SLCC English department will be publishing her book of poems The Reason next month. There will be a reading of her work, refreshments and an opportunity to meet Kim as well as pick up a copy of her book at Nox Contemporary Art Gallery, 440 South 400 East Suite H, on April 11th, 2013 at 7pm. The event is free and all are welcome for the unveiling of her book. On April 12th Kim’s work will be read and a free copy of her book can also be picked up. The event will be held at the Redwood Taylorsville Campus at 9:30-11:30am in AD226. The English 1820 class will also be printing and binding the book. Anyone is welcome to come see how it’s done and even bind a copy of The Reason to take home. As a child in Korea, Kim won a poetry contest with a poem entitled “A Rainy Day.” However at such a young age she didn’t find poetry terribly fascinating or enjoyable. Poetry to her was tedious, boring and hard to understand. While she had already displayed her knack for it, she decided only to write poetry for school assignments or writing contests she didn’t think she would win. In 2007 and at the age of forty one, she discovered poetry again. “One day poetry came to me like it was destiny. Either that or it accidentally popped up through the internet during my mid-life crisis,” wrote Kim in an essay. In the years to come Kim had a job and a family to tend to. She rarely thought of poetry as more than a past memory and considered it not all that important. Kim had been only surfing the web, an innovation that still amazes her today, and happened to stumble on a poem. She remembered losing sleep that night as she thought on the powerful words she had read. This feeling drove her to the keyboard and she began to write poetry again. 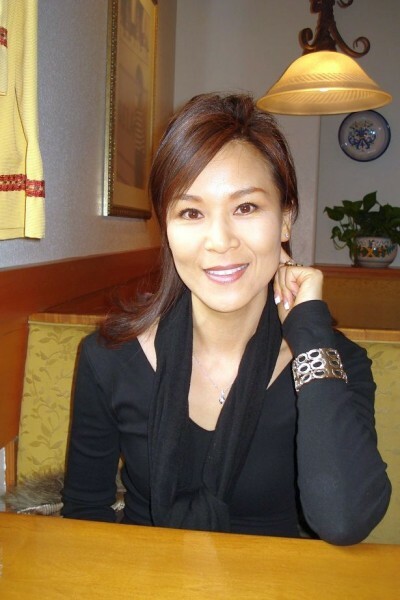 She writes her poetry every day and publishes some of her shorter and simpler works in The Korean Times of Utah. Kim was convinced she wouldn’t win the SLCC Chapbook Contest last year, so sure that her English wasn’t good enough that she completely forgot about it. Out of some 1300 poems she has written, Kim has translated less than fifty of them, many of which will appear in the Chapbook being published this year entitled The Reason. Kim intends to keep writing poetry and entering other contests, however she won’t write poetry for only that reason. Kim describes her need and desire to write poetry as something that she simply has to do. For her there is no way around it. “[Poetry is] a miracle and a mystical experience, showing me that not everything is out of reach in this world,” Kim said.